Thank you to everyone that entered my Wanchai Ferry giveaway. This morning I used Random.org to get an entry number for the prize. 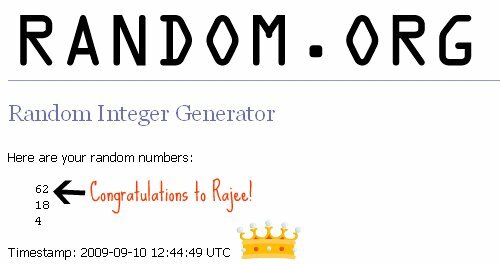 Rajee now has 48 hours to respond to my e-mail with her information for prize delivery or the next person will be notified. Stay tuned because another fun giveaway is coming very soon. « Have you heard of BrainFuel?